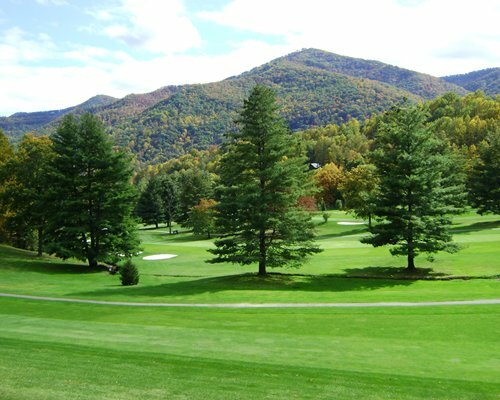 Peppertree Maggie Valley has 40 two-bedroom condos looking out over the beautiful Maggie Valley Club Golf Course and beyond to the Great Smokey Mountains that surround the valley. 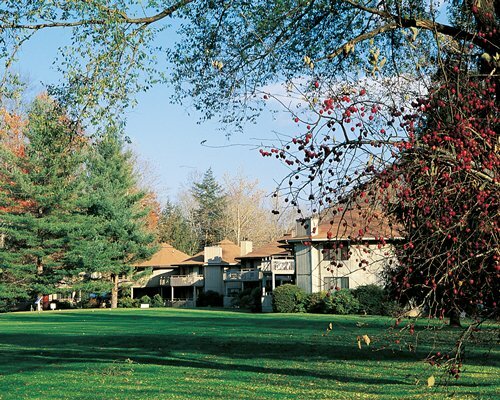 Amenities of the Maggie Valley Club include all that vacationers expect from a first-class resort facility and then some. Close by is a Cherokee Indian Reservation, Harrah's Casino, and America's largest private dwelling house, the Biltmore Estate, in Asheville. 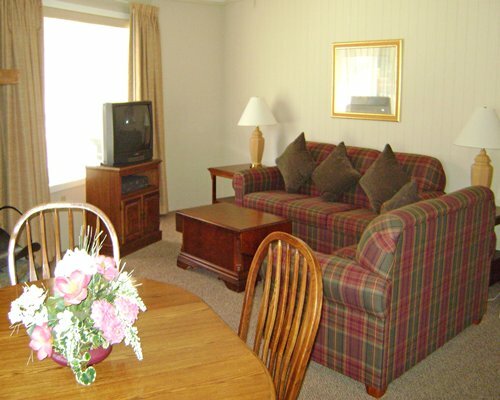 All of the marvelously furnished and appointed living quarters at Peppertree Maggie Valley have two bedrooms and sleep four. 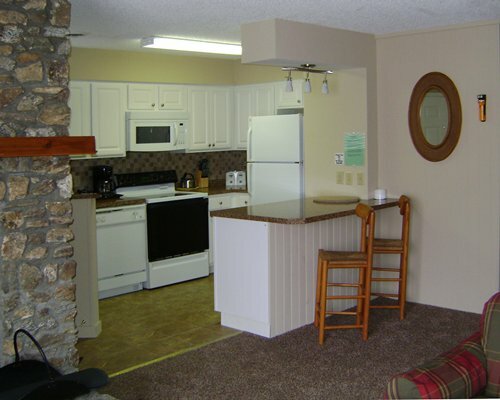 All units have fully equipped kitchens with full-size refrigerators, microwaves, coffee makers, toasters, and a complete set of cookware. Every square foot of the accommodations are beautifully maintained and decorated in the best of taste in keeping with the resort's rustic surroundings. 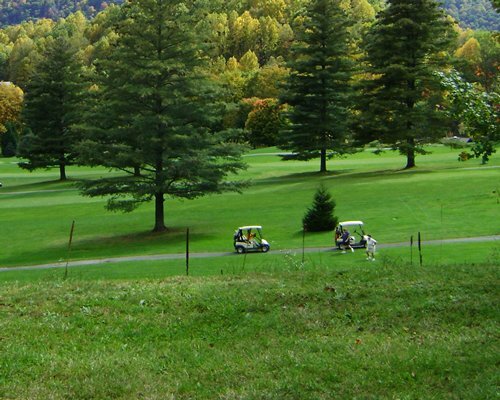 Maggie Valley, situated in North Carolina's stunning Smoky Mountains, is known for its small town character. It boasts a rich mountain history and has everything guests need for a memorable mountain vacation, including great little restaurants and unique shops. The Great Smoky Mountains National Park and Blue Ridge Parkway are close by where visitors can explore some of Southern Appalachia's best-kept secrets. 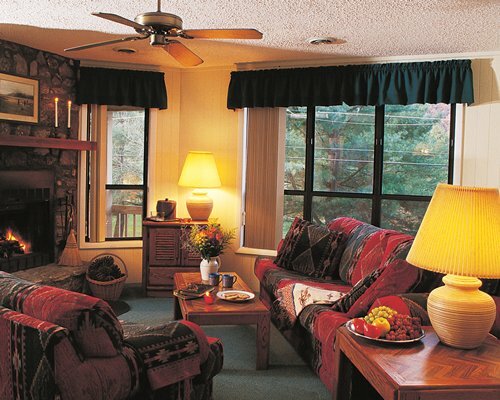 Whether vacationers spend the day whitewater rafting or hiking in the Smokies, they can always get refreshed and come back out to Maggie Valley for a night of good food, music and dancing. 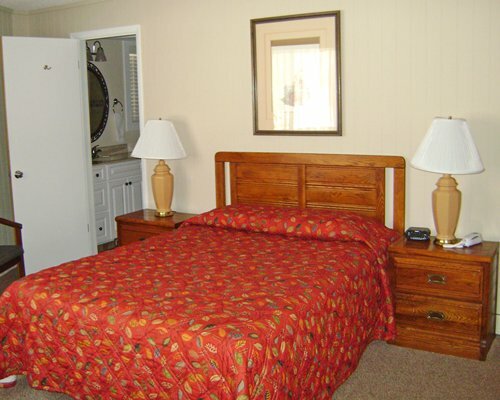 The nearest commercial airport is approximately 44 miles away in Asheville. From the airport, go west on I-26, west on I-40 and take exit 27 onto U.S. 19 South. Stay on U.S. 19 South to the third traffic light. Turn right at that light onto Moody Farm Road. Management office is 1/4 mile on left at 265 Moody Farm Rd. From Knoxville: Take I-40 east into North Carolina to Exit #20, U.S. 276 South. Proceed 6 miles to 1st traffic light, turn right onto U.S. 19 South. Turn right on Moody Farm Rd. From Atlanta take I-85N to I-985 to U.S. 23-441 to Dillsboro, NC and then 23-74 NE to 276 N at exit 102B. Continue on 276N to the 4th traffic light. Turn left onto 19S. Use above directions.